It’s Feathery Friday yet again and we have wild and crazy bird for you today! Ok, they may not be very crazy but they are wild and wonderful! Who is this loony bird? Come find out! 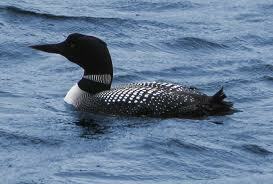 Common loons are also known as the Great Northern Loon. Common Loons are made for life in the water. They have webbed feet and water proof feathers. They are excellent swimmers and divers. They can dive to great depths. They take extra care to keep their dense feathers clean, this is called preening. They have to do this because the feathers keep them warm in the cold waters where they live. Common loons are often found in pairs. 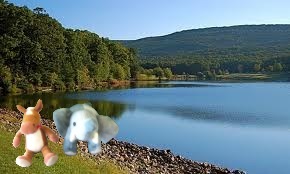 They are very clumsy on land. Common loons use their bills to spear fish. Both the female and male take care of the chicks. Chicks can swim at a very young age. Sometimes you’ll even see the chicks riding on the back of the mothers back. 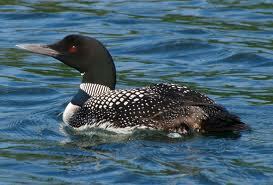 Common loons are very vocal birds and make several different types of calls. 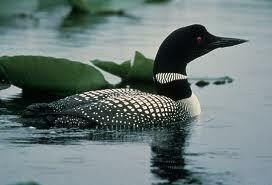 Common loons are the provincial bird of Ontario, Canada and are the state bird of Maine. These noisy birds are very pretty with their black heads and spots. We love the special adaptations they have for living in cold waters. 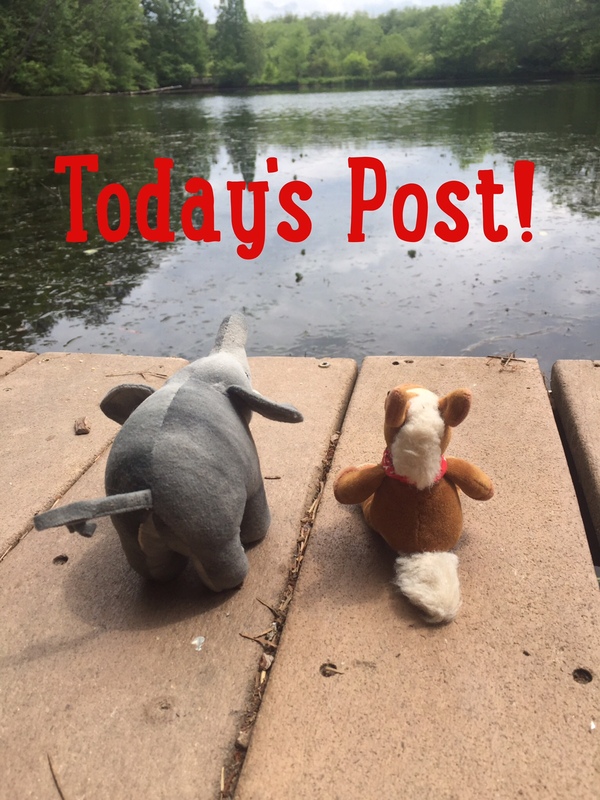 People, elephants and horses don’t do well in cold water! What do you do stay warm when it gets cold? We like to put on scarves! Watch this video of two loons calling to each other! Maybe I’m wrong, but I remember reading years ago that loons have relatively big feet. Hhmmm… we don’t know. We’ll have to look that up!